These days there is a chill in the air as I leave the house each morning and the leaves are starting to change color on the trees. At work, too, the colors are changing in people's choice of shirts. In this post I look at some warmer colors and styles as the weather cools. This fall (autumn) muted classic colors like browns and deep, wine-colored reds are proving popular, along with darker greens and even lavender and lilac. 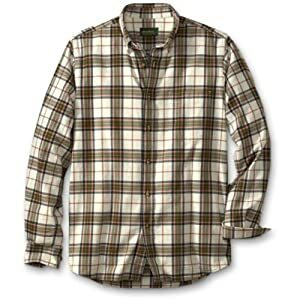 Styles are quite traditional and vintage designs are popular, which is perhaps why plaid shirts are being seen a lot. Originally coming from the tartan patterns from parts of Britain, the plaid or check pattern has always been popular but this year especially so. All very well, you may be thinking, but since when have tall men ever been able to find the lastest fashion in a size that fits? I admit it's a challenge, but take a look at some of the examples below because wherever tall men's clothing exists, we're here to find it. And some of these look pretty good to me (so far, I am relying on some real 'vintage' items from the back of the wardrobe, but I'll be out shopping before long). At the smarter end of the spectrum, established menswear provider Paul Fredrick offer a range of plaid shirts in tall fittings. These come in a range of materials and styles from highly textured tonal shirts to more traditional sports shirts (examples above). Moving to the more casual, Cutter and Buck offer some more traditional tall check sports shirts with button down collars. 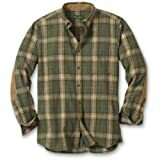 All are 100% cotton, but vary between smooth, low wrinkle poplin and heavier flannel. 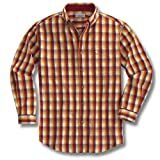 Below are some styles Eddie Bauer and Carhartt (both via Amazon) which are available in tall sizes, as well as a couple of Wrangler shirts from Sheplers. 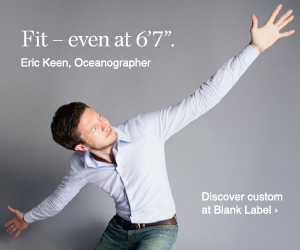 LL Bean and Banana Republic both have styles with tall sizes, too. Polo Ralph Lauren have a selection of plaid polo shirts in traditional 'heritage' patterns that are pricey but very nice. There are also options for finding tall size plaid shirts in the UK. Lands' End stock tall sizes of flannel plaid shirts in a number of patterns which are an inch or two longer than the normal sizes (picture on left below). These are available from medium upwards. The UK web site of Rochester Clothing also has a selection of plaid shirts from Polo Ralph Lauren (pctured below middle) from XLT and some other styles from LT sizes. The last example below is from Walktall (right). I just wanted to comment your blog and say that I really enjoyed reading your blog post here. It was very informative and I also digg the way you write! Keep it up and I’ll be back to read more in the future. The all shirts are looking so cool and beautiful.The design of the shirts are so nice.Thanks for the great post.